Kokanee Fishing 101 - Learn the basics of Kokanee fishing. 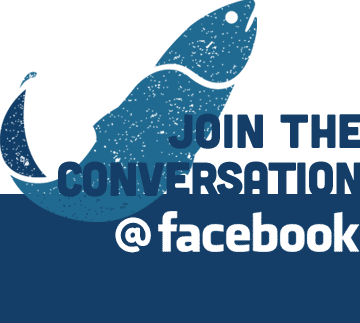 Over the past 10 years a huge “Kokanee Craze” has been ignited within the angling community throughout the Pacific Northwest and British Columbia Regions. 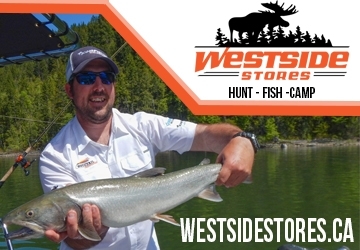 Kokanee are second only to Rainbow Trout as the most popular game fish in British Columbia! But really, what’s there not to like!? They’re plentiful, fun to catch and they taste exceptional! All you need to get started are some fundamental techniques and the basic understanding of a Kokanee’s biology. More than often anglers tend to misunderstand Kokanee fishing tactics and pursue them like when pursuing Rainbow Trout. There are some similar techniques between the two, but a Kokanee’s nature to strike your lure is much different than a Rainbow Trout. To start, let’s look at the simple biology of a Kokanee. Kokanee are landlocked Sockeye Salmon. Like Sockeye, Kokanee mature between 3 to 5 years of age and then die once they have spawned. They feed almost exclusively on Zooplankton. They strain zooplankton from the water by means of many fine combs on their gills called “gill rakers”. They will also eat tiny plants, insects, and freshwater shrimp when available. Due to the location of their food source Kokanee will spend most of their time suspended mid depth in the lake. It is important to note that Zooplankton is light sensitive, which means on brighter days the Kokanee’s forage will descend in the water column and the Kokanee will follow. A Kokanee’s size depends on genetics but they are also density dependent, which means their size can be contingent on how many other Kokanee are within the lake competing for food. Typically, the less Kokanee in a healthy lake the bigger the Kokanee will be. Kokanee are also prey for other predator fish such as Rainbow Trout and Char. 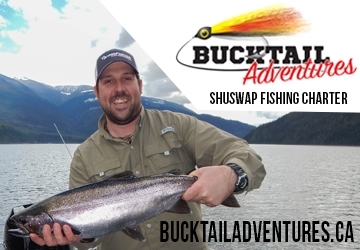 On average a mature large Rainbow Trout or Bull Trout will eat 2 adult Kokanee per day! So it’s vital that whatever gear you present while fishing for Kokanee you do not mimic a threat similar to these predator fish. Kokanee are very sensitive to water temperatures. They prefer water temps ranging from 45F to 54F, with 53F being optimum. Any prolonged exposure to temperatures greater than 60F can be fatal to the fish. This is one of the many reasons why Kokanee do not handle catch and release well. Kokanee can be scattered throughout the lake, so where they were one day doesn’t mean they will be there today. Using good sonar will stack the odds in your favour to locate the fish. Kokanee are a schooling fish that makes them easy to locate once you travel over top of the group. Areas in the lakes in which you want to target are areas with currents, wind blown points, tight narrow contour lines and large points that come out into the main lake. These are all zones that you will locate Kokanee due to their food source being pushed into these areas. Since Kokanee can range from all depths of the water column using downriggers will assist greatly in getting your presentation to the desired depth. If you don’t have downriggers using a variety of inline weights will aid in getting your gear down deep enough to where the Kokanee reside. When using weights be sure to always count out how much line is being put out and the speed in which you are trolling; this way you can duplicate the results once you get into fish. There has been a lot of innovation and advancement in Kokanee tackle over the past decade. The old Gang Trolls and Ford Fenders which were once favoured by anglers are now quickly becoming a thing of the past. Instead of using heavy metal gear that weighs down your rod, anglers are now switching to ultra light tackle options with medium slow action rods. Using this lighter gear allows one to play the fish and absorb the Kokanee’s aggressive fight with increased amount of fish being landed rather than lost. There are a variety of Kokanee lures on the market today and majority of the tackle that we present to a Kokanee are not imitating something natural that they will eat. Instead, Kokanee lures are created in a way to “tick them off” and get them irritated to entice a bite! Kokanee are like aggressive little bulldogs that will attack anything that is unnatural that comes into their respective space; that is as long as they don’t feel threatened by it. Rather than discussing every Kokanee lure out there it is best to mention that there are essentially two categories that all Kokanee lures fit into. A lure that has it’s own side-to-side action and a lure that runs straight through the water. The important part to note is the length in which you run your leader behind your dodgers as it differs between the two types of lures. A lure with it’s own action you’ll want to run 3 to 4 times the length of the dodger so the lure’s action isn’t interrupted by the action of the dodger. A lure with no side-to-side action you’ll want to run it 2 to 2 ½ times the length of the dodger to transfer action from the dodger to the lure. 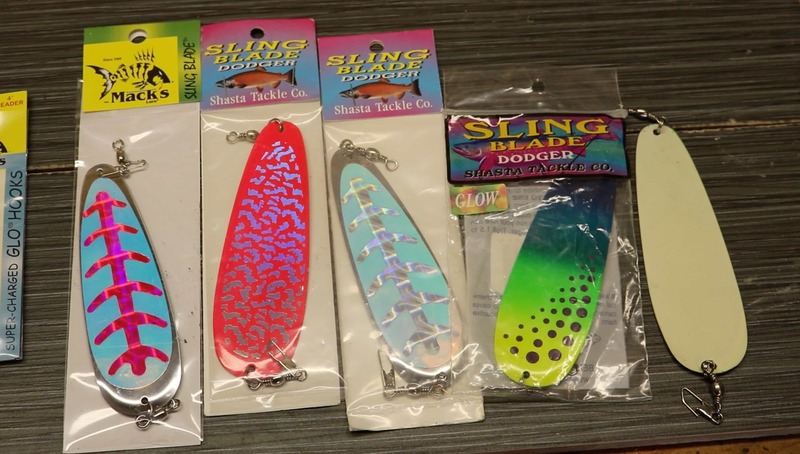 Action Lures: Mack’s Lure Wiggle Hoochie, Humdinger Spoon, & Cripplure. 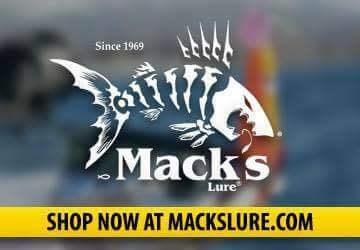 Non-Action Lures: Mack’s Lure Smile Blade Kokanee Hoochie, Wedding Ring & Spinner Hoochie. Kokanee are attracted to a variety of colours ranging from hot pinks, fluorescent red, bright orange and chartreuse. Using UV and Glow colours are excellent during low light conditions and when fishing deeper water. As a dodger travels through the water it moves side-to-side creating flash and water displacement (sound to a Kokanee). Dodgers get the Kokanee’s attention and call the fish in from a far. Once the Kokanee comes in, it’s your lure that encourages the strike. Using larger dodgers in lakes with high predation can repel Kokanee, as mentioned above larger dodgers can mimic a predator fish. It’s a good idea to have a selection of 4 to 6 inch dodgers within your arsenal to provide you with options. Using larger dodgers in cloudy water will help the fish find your gear, while in clear water conditions selecting a small 4-inch dodger can produce better results. Choosing a dodger that can be “tuned” is a good idea. The Mack’s Lure Sling Blade Dodger is one of the most popular Kokanee dodgers on today’s market because it can be bent to add or reduce the action. The added bend creates more action that the dodger will transfer to the lure and the more “thump” will be created to attract the fish in. Using inline flashers such as a Mack’s Lure 4 Blade Flashlite can be a great tool for when long lining without downriggers or when the fish are scattered and not as tightly schooled. Since inline flashers have rotating blades and run straight through the water they will not add action to your lure. Selecting a lure with it’s own action or with a spinner is crucial when using this type of attractor. Leader lengths vary between 15 to 30 inches depending on water clarity, when there is less water clarity use shorter leaders. Tipping your lure with a piece of bait will help close the deal once the Kokanee approaches your lure. Popular Kokanee baits are Pink Maggots (real or synthetic), dyed-cured shrimp and dyed-cured White Shoepeg Corn. Be sure not to put too much bait on the hook as it will take away from the lure’s action. Once piece of corn or 2 small maggots on each hook is adequate. Anytime I’m Kokanee fishing I’m adding scent! Yes, you can catch Kokanee without it but if you really want to increase your odds in catching more Kokanee using scent is key! Consider this: a Kokanee are said to have a hundred times greater sense of smell than a Bloodhound Dog! Sockeye Salmon will make a run up a river over 1000kms to the same water in which they came from based on scent alone! 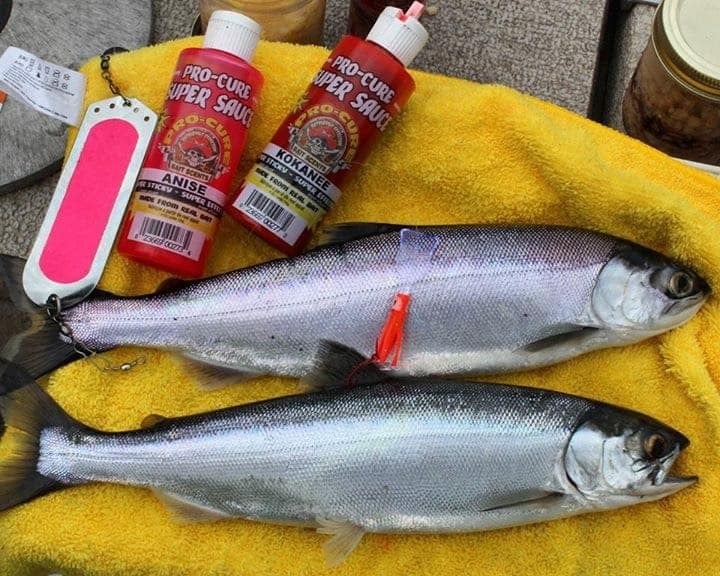 Not only does adding scent to your bait and lure provide a scent trail that helps the Kokanee hone in on your gear and tempt them to strike, but it helps mask any other unwanted smells that may repel a Kokanee. Let’s face it, our human smell is not a natural attractant to Kokanee and neither is sunscreen, gas or that stinky sandwich we had for lunch. 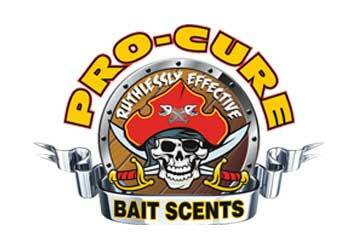 Pro-Cure Bait Scents are the industry leaders in creating scents for Kokanee. Some of their popular attractant scents are Shrimp/Krill Super Gel, Kokanee Special Super Gel, Bloody Tuna Super Gel. Using scents that are irritants to Kokanee such as Garlic or Anise will also help yield results when the fish aren’t as active. Kokanee tend to attack these irritant smells out of sheer aggression. 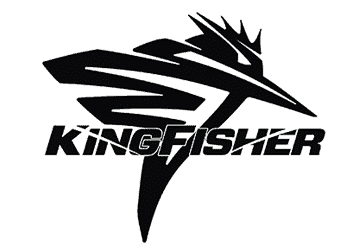 Establishing the correct trolling speeds is necessary when it comes to Kokanee fishing. Much slower speeds are used when trolling for Kokanee. Unlike when fishing for Rainbow Trout where the average speed is over 2mph, speeds for Kokanee range from .8 to 1.8 mph. Kokanee tend to follow your gear for miles around the lake until something changes. At which point the Kokanee thinks your lure is getting away or they get annoyed with it and strike. This is why it’s important to troll in a way that it puts erratic action onto your presentation. 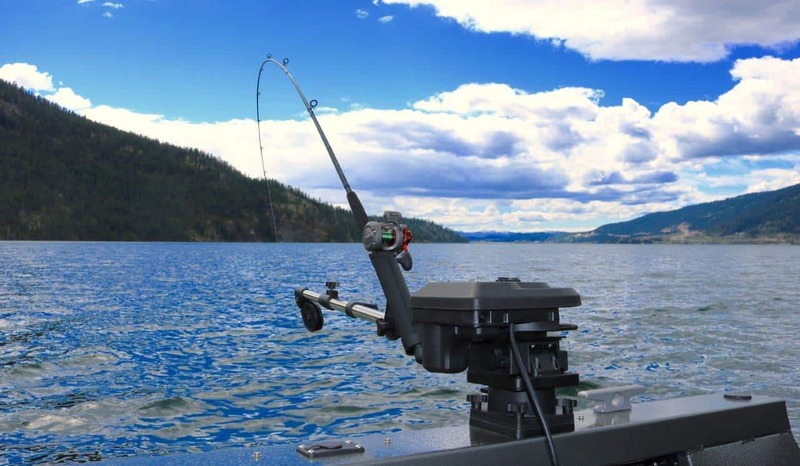 Trolling tactics such as “S” Turns, stop and go, speed up then down, or even bringing your downrigger up one turn and then back down will all help persuade a Kokanee to strike your gear. 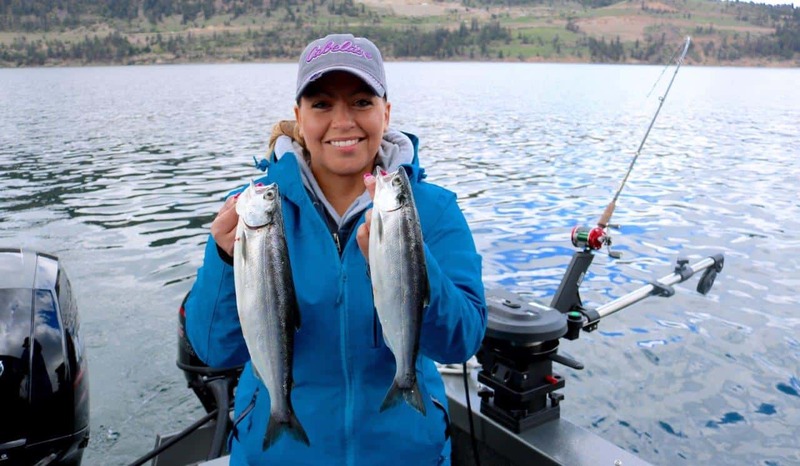 Kokanee fishing can sometimes be challenging but once you get your presentation just right to the conditions you will have a lot of fun bringing them into the boat. Some days will be much easier than others but keep applying these basic methods and you will have consistent results. The important thing is to get out and give Kokanee fishing a try, experiment and most of all have fun!